Roseanne Barr, far-right conspiracy theorist and eponymous star of ABC’s Roseanne, imploded in an entirely predictable fashion this week when she sent out a racist tweet about former President Barack Obama adviser Valerie Jarrett and later blamed Ambien. In the space of less than a day, ABC terminated the rebooted franchise, and other networks as well as streaming services like Hulu scrambled to purge reruns from their libraries. Caputo is the chief marketing officer of an online streaming TV startup called Bond, which aims to fund film and television programming through “crowd-investing.” He told The Daily Beast that he and his colleagues plan “to reach out to Roseanne [Barr] immediately” in the wake of the cancellation of her ABC show on Tuesday over a series of racist and anti-Semitic tweets. ... If he were to do so, it would be a coup for Bond, which was founded last year but has yet to begin airing content on its streaming service. “We always planned on reaching out to Roseanne eventually,” Caputo told the Beast. 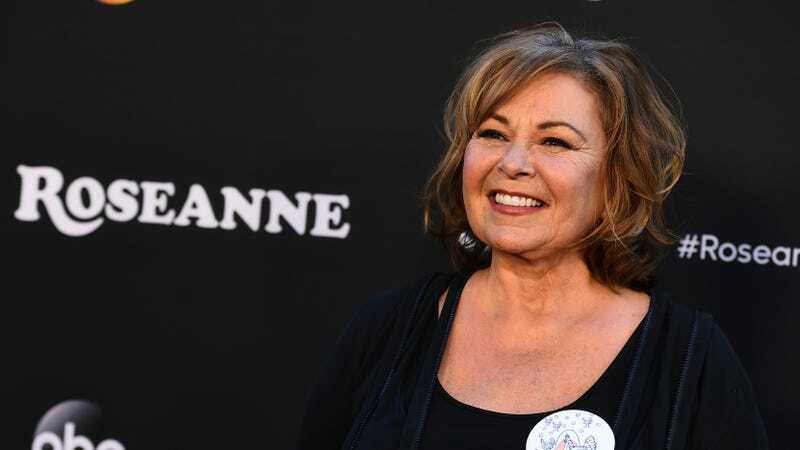 “Now it’s sooner rather than later.” Barr would have to lower her standards significantly, though: While the Roseanne reboot drew 27 million viewers for its premiere episode on ABC, Caputo said he was aiming to draw 150 creators and 75,000 paid subscribers within a year. In slideshow presentations pitching its streaming service to various potential investors, Bond even used the Roseanne reboot as a model for the type of programming that the company could support. Caputo said that model was used explicitly to lure conservative-minded backers eager to tip the balance of political power in Hollywood. Bond’s website does not explicitly tout the streaming venture as intrinsically right-wing, just a place where niche projects can find independent fanbases, but it does hint at a “new economic model for the film and video industry.” It also advertises itself as an initial coin offering-backed blockchain project that promises to pay creators and investors in digital tokens variously referred to as “Ownership Stakes” or “BFP (Bond Film Platform),” which might be a hard sell for stars used to being paid in huge stacks of actual money. In other words, Bond seems like yet another one of the ill-defined or just plain weird media ventures that have emerged from the people in Trump’s orbit. Those have included rumors of a Trump TV network, a low-rent Facebook “real news” show, and of course, former White House communications director Anthony Scaramucci’s much-hyped media startup that ended up mostly being a Twitter account asking unnecessary questions about the Holocaust.